It’s my pleasure to welcome Zoe Burton to the blog this week. She’s a devout Janeite who brings us a generous sneak peek into book three of her sweet Jane Austen Fan Fiction series, Darcy Marriage. The title alone will make me purchase this book! Elizabeth Darcy’s wide eyes sought out her husband’s as they rose to greet the newest visitor to Netherfield Park. The Darcys were newly-married, and had spent the previous few weeks visiting the estate, which was being leased by Fitzwilliam Darcy’s friend, Charles Bingley. Bingley’s sister, Caroline, had just sauntered in, unexpectedly and with derogatory comments to her brother about the house. Darcy returned his wife’s look with a roll of his eyes. 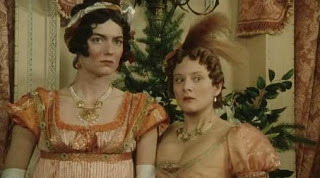 While Elizabeth had never met Bingley’s sister, Darcy had been avoiding her since almost the moment they became acquainted. Her current unpleasantly dramatic entrance, typical behavior on her part, was the reason. That, and the fact that she quite obviously set her cap at him the first time she met him. He wondered why she was here now, given what he knew about her current circumstances. Darcy reached for Elizabeth’s hand, laying it on his arm and squeezing it. If it were not the height of rudeness, he would seat them both; they ought to be comfortable while they enjoyed what was certain to be a spectacular performance from Caroline Bingley. “With no warning? 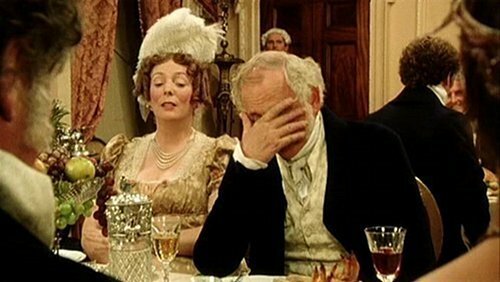 How do you know I have a room for you?” Bingley shook his head. “Seriously, Caroline, if this were your home and someone did that, you would be angry. In any event, we will have to discuss it later. Come, greet the Darcys.” He gestured to the group of chairs and couches clustered in the center of the room. Caroline’s sharp eyes had not missed that her brother’s guests were his friend and his friend’s sister. The other two were unknown to her, but based on her mode of dress, one was probably Georgiana Darcy’s companion. The other, Caroline could not begin to speculate on, but she could not like the way the ugly little thing stood so close to Darcy. Surely that is not his new wife? Why, there is not a fine feature in her face! I will put a stop to that immediately. Disengaging his arm from Caroline’s clutches, Darcy returned her greeting. He turned toward Elizabeth, intending to introduce her to Bingley’s sister, when Caroline interrupted. 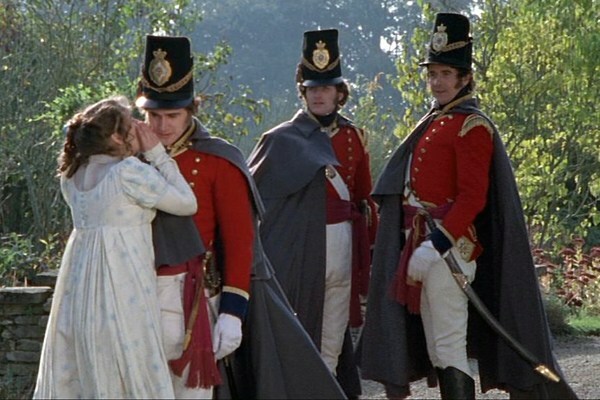 Not one to miss the opportunity to ingratiate herself with someone of higher standing, even if it meant acknowledging that person’s servant, Caroline fixed a smile on her face and greeted her newest acquaintance before turning her attention back to Darcy. Darcy’s mien, always serious, took on a harsher cast as his anger grew at Caroline’s slight of his wife. He opened his mouth to speak but shut it again when his friend spoke to Caroline. Her sour look indicated to all Miss Bingley’s feelings about her brother’s edict, yet rise she did. Silently, she allowed the object of her former—and, if one were honest—current desires to introduce his wife. His wife! 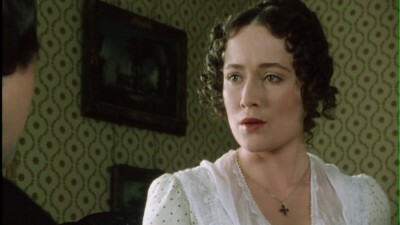 Caroline seethed inside, even as she curtseyed and greeted Mrs. Darcy with a weak smile and lukewarm words. Caroline Bingley was Charles’ youngest sister and the baby of the family. Indulged by her parents, she was unused to being denied what she wanted, and what she wanted, from the first time she laid eyes on him, was Fitzwilliam Darcy. 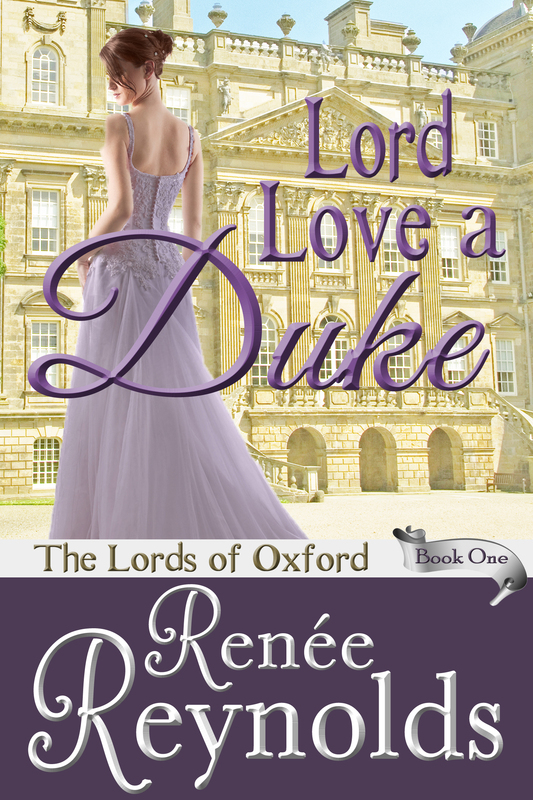 The wealthy and handsome Darcy was everything Caroline ever desired in a husband and was her way to raise her family above their tradesman roots. Caroline’s father had worked hard to make certain his children had the funds set aside that would allow them to rise above their status and into the world of the landed gentry. It was her mother, however, who impressed upon a young Caroline the importance of moving up in society. Mr. and Mrs. Bingley had passed several years ago, but Caroline could still hear her mother’s voice in her ear, drilling into her the expectations of her parents. 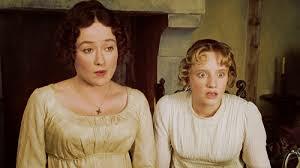 Caroline had taken those admonitions to heart and, after Mrs. Bingley passed, vowed to marry as high as possible. It was not that Caroline had ever loved Darcy. She did not believe in love. Love was for unambitious fools who were satisfied with remaining where they were instead of advancing. She was not a fool. What Caroline had loved was Darcy’s status, and his income. She had found him rather dull as a person; he was always serious and stern and hated the social whirl that she thrived on. She had not been worried about these differences, since she could have worked on him after they were married and changed his feelings about society, thus ensuring she would not have been denied the thing she loved the most. Caroline had been within reach of her goal, she thought, until this past spring, when she was involved in a public altercation with the daughter of a viscount at one of the premier social events of the season. Now, she was back in the south of England, after spending months in Yorkshire with her sister, brother-in-law, and aunt. She had arrived at her brother’s estate a few minutes ago. She was not impressed. Her brother’s voice as he gestured for her to sit was full of irritation. Caroline kept her face as blank as possible at this news, but inside, she was seething. It was an insult for her brother to choose to allow that woman to remain in control of his house when he had a female relative to take over. Not wishing to cause a scene by speaking her mind in front of everyone, Caroline contented herself with a small smile and a curtsey before walking away. Caroline paced her bedroom, back and forth from door to nightstand, over and over again. Never one to suffer fits of nerves, she felt today as though she might come apart at the seams. Her mind was full to overflowing with thoughts and feelings. Caroline had never been so humiliated as she had been in the spring, when she lost her wits and had a physical altercation with Miss Lavinia Pittman. The contretemps began with some verbal sparring, but deteriorated rapidly, culminating in violence. Caroline shuddered at the thought. The memory was still distressing to her. She maintained, however, that she was not the one who started it, and that she was, and remained, the injured party. The fact was, Caroline had been the first to put her hands to use in the argument. Not that anyone who witnessed it could pinpoint it. The ladies were pulled apart soon enough, and both left the ball. Caroline had removed herself from London soon after, claiming she had become a laughingstock. 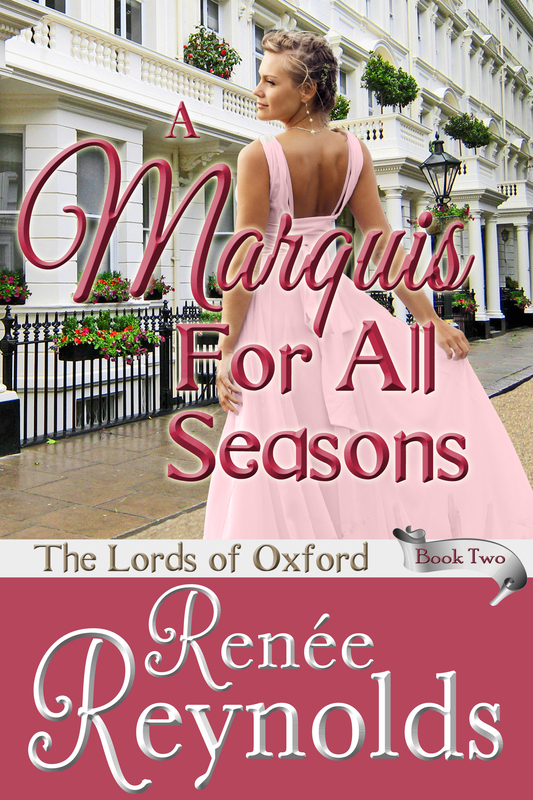 She did not know what came over her; the viscount’s daughter had been arrogant, but Caroline knew well how to defend herself from that sort of thing. It was not even that Miss Pittman described Darcy in such glowing and intimate terms. Caroline was used to other ladies speaking of him in such a fashion. What had sent Caroline over the edge of reason was the other woman’s comment that Caroline was too far beneath Darcy to ever receive his notice, or that of any of his friends. To Caroline, those words were akin to waving a red flag before a bull. Before she knew what she was about, she had a handful of Miss Pittman’s hair and a bloody nose. She took herself off to Yorkshire to spend time with her aunt. My aunt. Caroline sighed. Aunt Augusta had insisted that, since Caroline had made a cake of herself over a gentleman who had not wanted her, it was time she married someone who did. She made the point that if her niece had shamed herself and her family, she would not be able to make a good match in London, anyway. Caroline had finally admitted, reluctantly, that her aunt was probably correct. She definitely did not wish to return to London anytime soon, anyway, and she could not live with relatives forever. So, Aunt Augusta took her around to every local dinner and ball she could wrangle an invitation to, introducing her to all the single gentlemen and wealthy tradesmen she could find. Then, she insisted that Caroline entertain them when they came to call. Though she whined and complained, her aunt would not give way, and Caroline entertained. In the end, the only gentleman she did not drive away was Mr. Meade. Mr. Albert Meade was an estate owner, and almost as rich as Darcy. 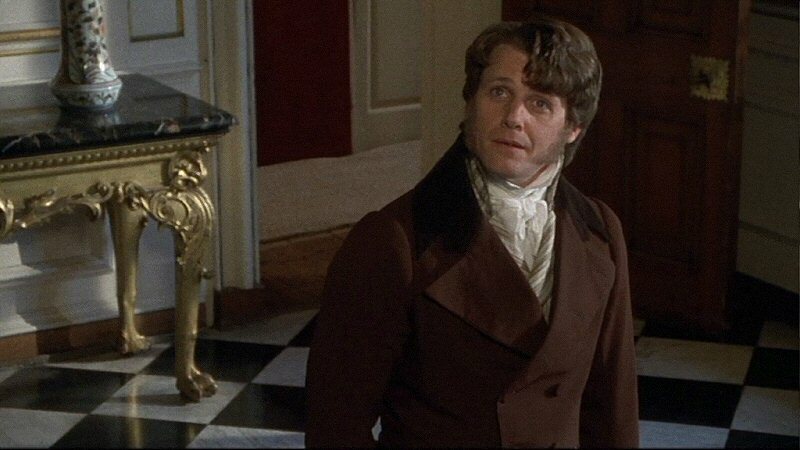 He was older than Darcy, but could not be considered an old man by any stretch of the imagination. He was, Caroline had to admit, a perfectly acceptable match. Except, he was not part of the ton. He did not go to London for the season, ever. He was old money, there was no denying. His property had been in the family for centuries, possibly longer than Pemberley had belonged to the Darcys. But, Mr. Meade chose not to participate in London society, the one thing Caroline craved above all others. Mr. Meade had proposed recently. Feeling that she had no other real options, as she was not welcome to stay with her sister and brother-in-law, the Hursts, and was not invited to rejoin her brother’s household, Caroline accepted. Two days later, she ran. Leaving the house in the middle of the night, she walked the mile to the nearest post stop, hauling herself up into the coach without assistance and settling in between an elderly woman carrying a chicken and the hard wall of the conveyance. After three days of nonstop travel, she finally found herself at her brother’s leased home in Hertfordshire in a guest room at the farthest corner of the house. With nothing to do for half a week but sleep and think, Caroline spent much time in contemplation. She had not left a note behind. She had not thought to. Her entire focus had been on leaving. Caroline could not say for certain why she left her aunt and her betrothed in such a rush. All she knew was that she felt inside as though she needed to go in order to release the tight feeling in her lungs and calm the pounding of her heart. An animal need to get away had clawed in her and only now could she breathe fully again. She spent much of her time holding back tears, willing herself to remain calm and in control. However, seeing who was here and how Charles intended to treat her, she half-wondered why she bothered. 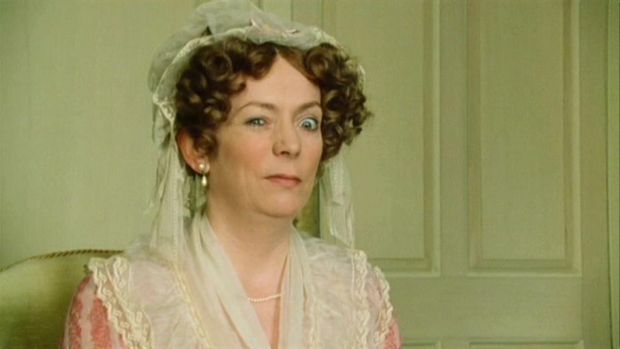 Mrs. Darcy. Caroline could not get those words out of her head; had not since she first saw the piece in the newssheet. The weeks-old paper her aunt received had contained a notice of Darcy’s marriage, but Caroline had insisted it must have been printed in error. Though she had initially denied it to herself, Caroline had known immediately upon entering Netherfield’s drawing room which unknown woman was she—never before had she seen Darcy so solicitous of any female other than his sister. It was clear to anyone who had an eye for fashion that, while her clothing was made of superior fabrics and excellent in quality, it was rather plain. No self-respecting lady of high society would be caught dead wearing a gown that lacking in embellishments. Her poor taste combined with an astonishing lack of beauty both marked her as below Mr. Darcy’s notice, or so Caroline thought, and beneath Caroline herself. She knew Mrs. Darcy to be a Hertfordshire native from the newspaper report of the marriage. Therefore, Caroline had no compunction in thinking of her in a derogatory fashion, referring to her mentally as that country chit. Though Caroline railed to herself about the marriage and the unfairness of life, she knew there was nothing to be done. Darcy was lost to her. Her deep disappointment and the resulting tears of anger and despair were not going to help her get him back. As her aunt had stated, upon hearing Caroline’s loud denials of the marriage, once married, only death could separate a couple. Her aunt had warned her to forget Darcy and move on. Caroline could not do that. While she knew that the couple was married forever, Caroline was determined to make them as miserable as she was, and to cause Darcy to regret his choice. She would quietly observe, she decided, and find things to use to that end. When a small voice in Caroline’s head asked her why she would do such a thing to someone she had only just met, Caroline pushed it away. She did not have to have a reason; she wanted what she wanted, and that was that. She had not been denied anything as a child, and had not denied herself as an adult. I do it because I can. Caroline descended the staircase again just before dinner was announced. Exactly as she had planned, she was quiet much of the time and observant always. When she spoke, it was to inquire of Mrs. Darcy as to her origins, education, accomplishments, and connections. Mental notes were made as to the lady’s comportment and habits. Though Elizabeth appeared on the surface to be perfectly acceptable, Caroline found plenty of ammunition to use to demean her. However, she would not start this night. There was no point in making her brother angry right away. She would continue to gather information and begin her attacks in a day or two. For the rest of the party, a quiet Caroline was a relief. Though she was tolerated because she was Bingley’s sister, and most of his guests humored her in her desire to be the center of attention, the meal was far more enjoyable when she did not speak. The following afternoon afforded Caroline the chance to meet Elizabeth’s father, and two of her sisters. It was immediately apparent that Charles was smitten with the eldest of the Bennets, Jane. It was equally obvious that the family was not as high as they should be for Darcy to have aligned himself with them. 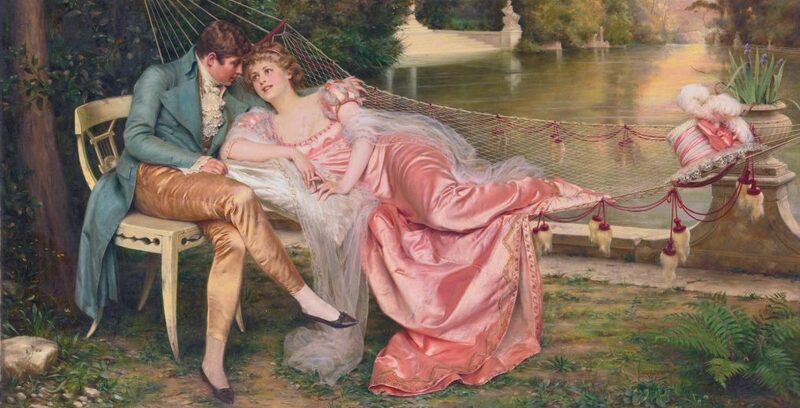 Cynically, Caroline wondered just how Elizabeth Darcy got her husband to propose. She attempted to draw the younger of the sisters, Mary, into conversation, in order to worm out of her information about the circumstances of the Bennet family. Unfortunately for Caroline, Miss Mary found her manner to be arrogant and her questions impertinent and intrusive, and soon stopped replying altogether. Once the Bennets had made their farewells, Caroline, uncaring that she had an audience, began to interrogate her brother about Jane. Charles, though, was not having any of it, and before she knew it, had whisked her out of the drawing room and down the hall to his study. “If I have no right to know your business, then you have no right to know mine,” Caroline sniffed, raising her nose in the air and looking past her brother’s head. Caroline paled, not appreciating the reminder of who controlled her money. She opened her mouth, then closed it again, pressing her lips together and flattening them into a thin line. She shrugged, turning her head away from her brother. Caroline nodded. Though she acquiesced to him, she seethed inside. I may not be able to separate Darcy from his legally married wife, but I can make sure they are not happy. Pick up your copy of Caroline’s Censure right now! Books one and two of the Darcy Marriage series are also available by clicking the graphics below. 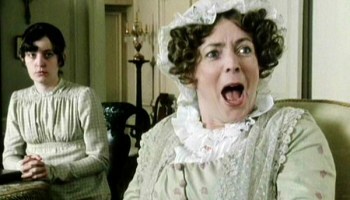 Zoe Burton first fell in love with Jane Austen’s books in 2010, after seeing the 2005 version of Pride and Prejudice on television. While making her purchases of Miss Austen’s novels, she discovered Jane Austen Fan Fiction; soon after that she found websites full of JAFF. Her life has never been the same. She began writing her own stories when she ran out of new ones to read. Zoe lives in a 107-year-old house in the snow-belt of Ohio with her two Boxers. She is a former Special Education Teacher, and has a passion for romance in general, Pride and Prejudice in particular, and NASCAR. Zoe is a PAN member of the Romance Writers of America, the Northeast Ohio chapter of the RWA, and the Beau Monde chapter of the RWA. She also belongs to the Jane Austen Society of North America, and JASNA’s Ohio North Coast chapter. Join Zoe’s mailing list here and connect socially with Zoe by clicking the graphics below! This week’s phrase took very little effort on my part after I stumbled upon a terrific post at Flavorwire. I have long admired Jane Austen’s works and delved into her life through her remaining correspondence and notes – she really had the greatest sense of comic timing and a deft hand at using words to their greatest effect. After reading this compilation of her best bon mots from Pride and Prejudice, I was again reminded of her genius way with words. To be a match for one who attempts to cheat or deceive; to be on a footing, or in the secret. I’ll be up with him; I will repay him in kind. To me, Lizzy Bennet is the epitome of the definition of being Up to Their Gossip. Never let them see you sweat. 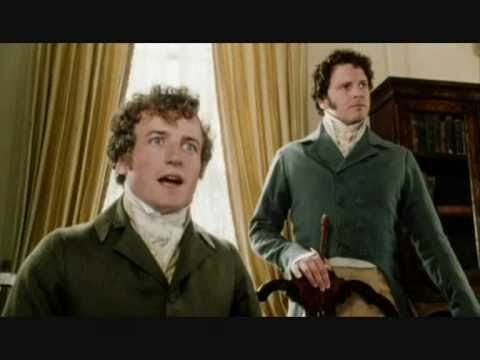 The following are the 15 Best Disses and One-Liners From Pride and Prejudice, according to Flavorwire. Not. Amused. By. Savages. At. All. That condescending curtsy, though. 19th Century equivalent of the slow clap. See the original post at Flavorwire. I switched out some of the gifs and switched the order on 8, 9, and 10. James Gillray really is all that and a bag of chips. 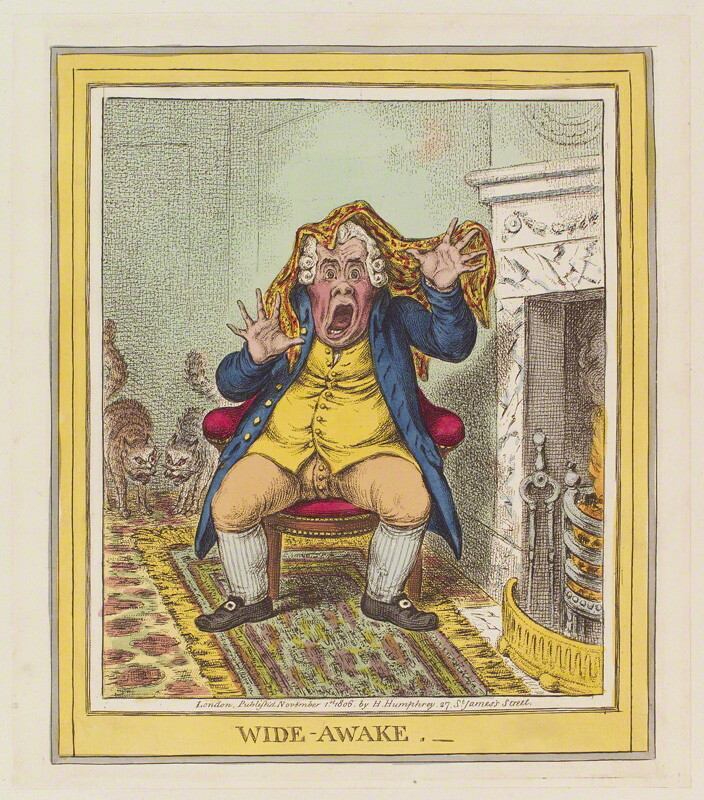 Wide-Awake by James Gillray, published by Hannah Humphrey 1 November 1806, National Portrait Gallery. Surprised, confounded, out of one’s senses; also betrayed. Also when I saw the Gillray picture above, I thought about how much he looked like Mr. Bennet in form but how his expression resembled that of Mrs. Bennet. 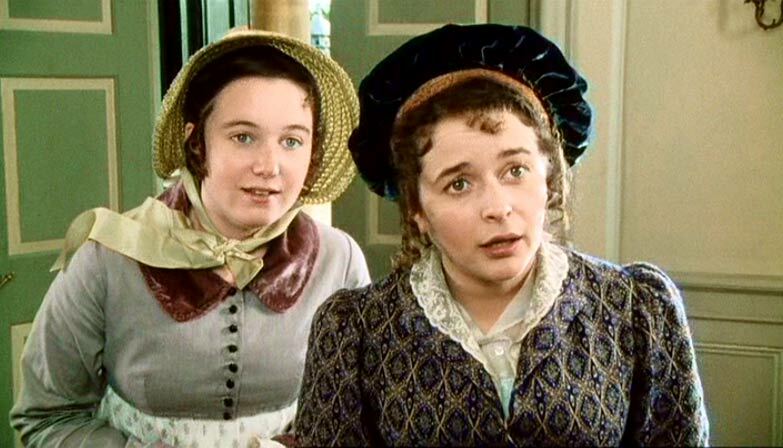 So off to the interwebs I went in search of the betwattled looks of Pride and Prejudice circa 1995. Honest, not roguish. A square cove, i.e. a man who does not steal, or get his living by dishonest means. I honestly didn’t start out this month to have an Austen hero meme-fest, but now it must needs be continued. 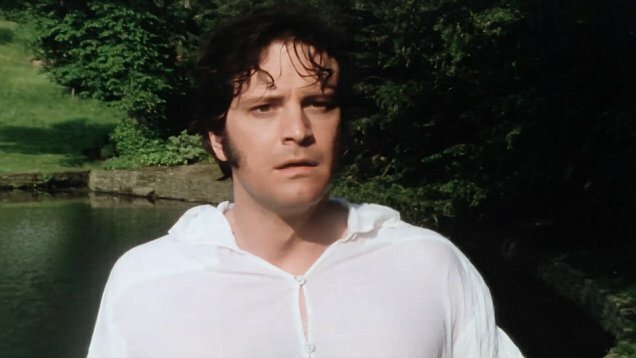 For the squarest of the square, may I present Mr. Darcy of Pemberley, Derbyshire. The miserable half. Slang definition from Pascal Bonefant’s 18th Century and Regency Thieves’ Cant. GIFs of Mr. Matthew Macfadyen made of scenes from Focus Feature’s 2005 Pride and Prejudice adaptation. Novel quotations obtained from The Project Gutenberg EBook of Pride and Prejudice by Jane Austen.